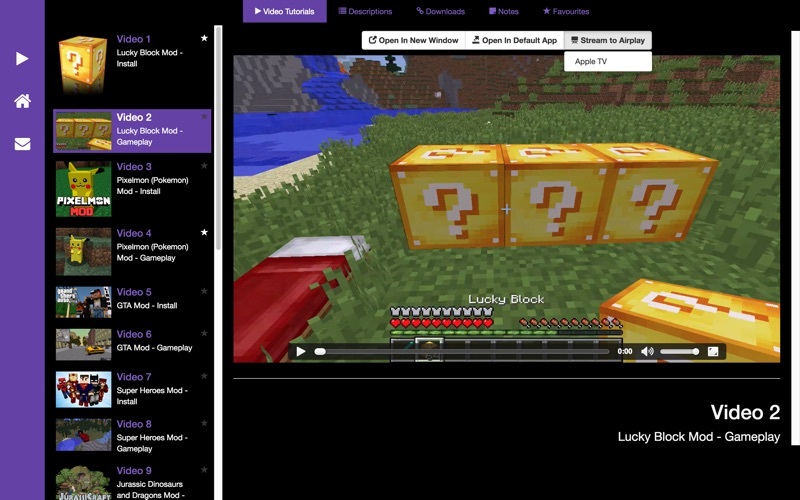 Learn Tips, Tricks, and Installation procedures for the Best Minecraft Mods (including Lucky Block) with this app on your Mac. 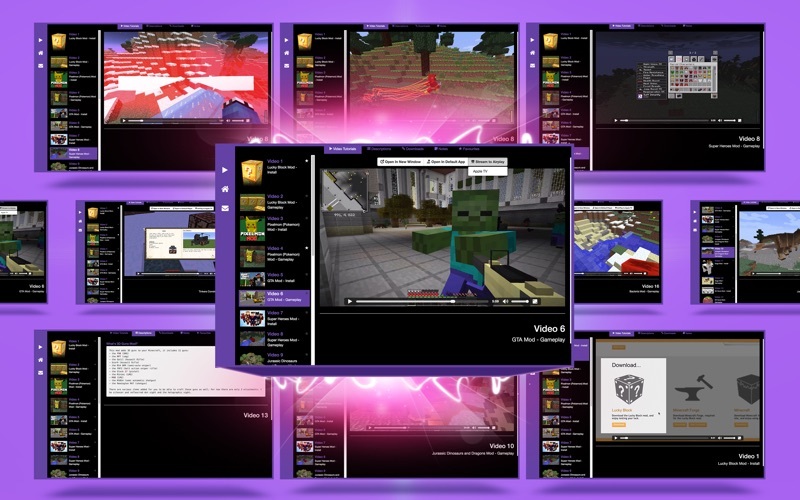 The app is perfect for any skill level because of its easy, step-by-step guidance on how to install Minecraft mods. It's useful for any player who wants to level up their game. 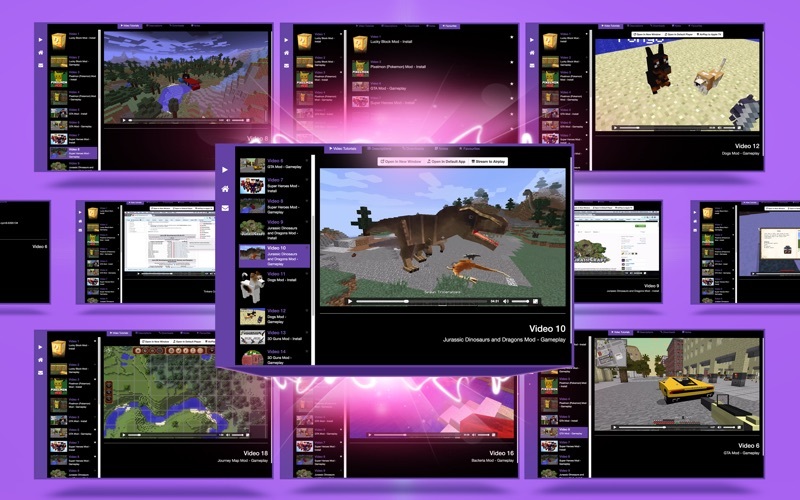 The app includes video tutorials, detailed descriptions, and download links for the mods. 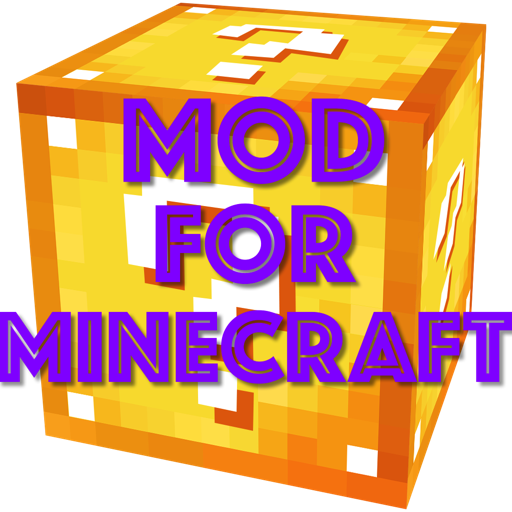 • How to download, install, and use each mod in detail. • How to download and install Forge. • How to handle common problems you may encounter. 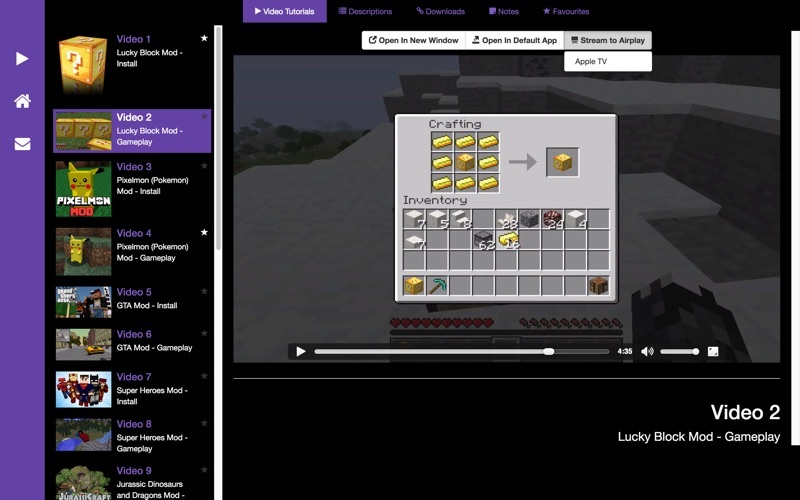 • How to play each mod in Minecraft. • All the videos are produced in Full HD resolution and feature native English speakers. They are step-by-step tutorials and last 5-15 minutes on average; you can view them in full screen and offline. • Play video tutorials on your Apple TV via Airplay. • Open a video tutorial in a separate window for a better viewing experience. 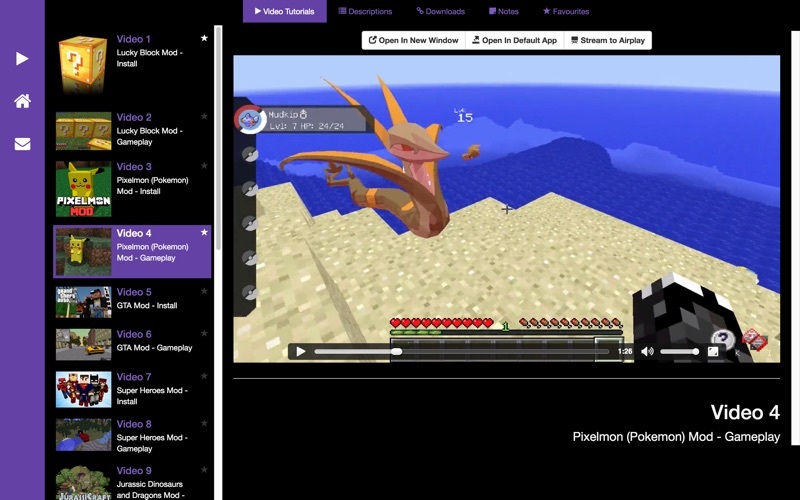 • Open a video tutorial in a default player you choose. Use your favorite player to watch the tutorials! • Descriptions - Contain detailed information about each mod. • Downloads - Provides download links for each mod. • Playlist - Add your favorite video tutorials to a playlist. • Notes - Jot down notes when watching the tutorials. Disclaimer: This app is a video tutorial on how to mod your Minecraft game. THIS IS NOT AN OFFICIAL MINECRAFT PRODUCT. IT IS NOT APPROVED BY OR ASSOCIATED WITH MOJANG. Minecraft is a trademark of Mojang AB.